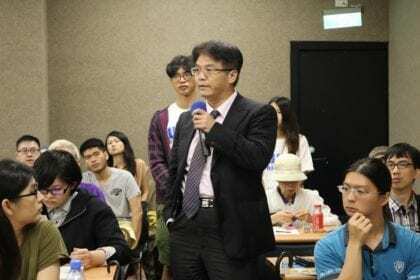 UBI Taiwan held a press conference to describe their proposal to give every Taiwanese citizen a basic income each month. Skeptics and supporters were given details of how Taiwan could feasibly implement such a policy. Taiwan’s extremely low tax rates coupled with a highly developed economy make Taiwan a feasible candidate to establish an Unconditional Basic Income (UBI), the group said. UBI Taiwan was established in 2016 to bring attention to this policy in Taiwan, where it has not yet been a major topic of national discussion. On the heels of the press conference, UBI Taiwan has scheduled meetings with political party representatives in Taiwan. UBI Taiwan’s basic income proposal does not include a means-test or work requirement, which means, essentially, every Taiwanese citizen would receive a stipend. Under this proposal, adults would receive 10,000 NTD per month ($330 USD) and children 5,000 NTD per month ($165 USD). The group argued such a policy could help to alleviate income inequality, which has been growing steadily in Taiwan. It may also address some of the financial anxieties related to having children, which has created a demographic crisis on the island. According to the white paper briefing, UBI would lower the rate of low-income families in Taiwan by 66 percent – from 25 percent currently to 8.5 percent after basic income. The proposed amount is two-thirds of Taipei’s poverty line, which is the highest in Taiwan. 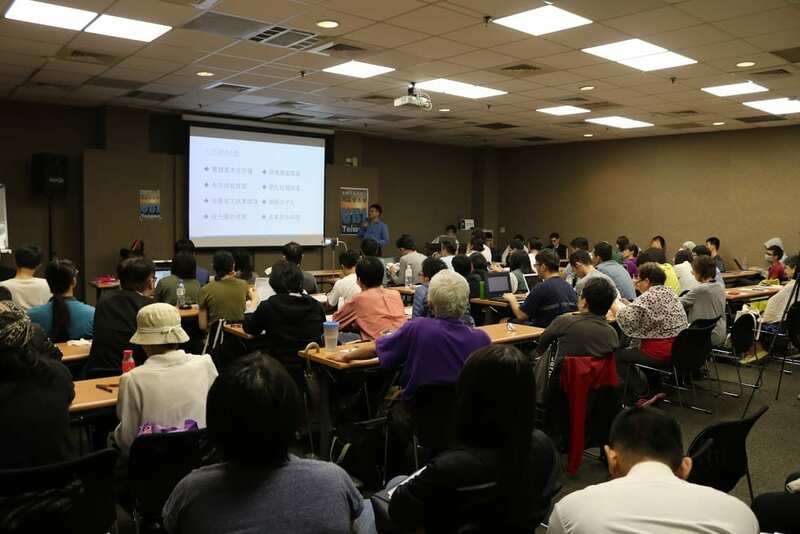 The press conference was held on October 20 at National Taiwan University’s conference venue. They outlined several methods to realize such a policy in Taiwan, focusing on either immediate or gradual implementation. An immediate implementation would have a “gross cost” of 15 percent of Taiwan’s GDP, the group said. Ray Song, the research director for this national proposal, said the “gross cost” is misleading because it does not account for how much individuals would pay back their basic income in taxes. Oscar Han, UBI Taiwan’s lead welfare researcher, discusses the benefits of UBI. The press conference had immense interest and was unable to provide tickets to the large number of Taiwanese who applied to attend. The “net cost,” which calculates how much the government is actually sending out as a basic income and not receiving back in taxes, is 3.2 percent of Taiwan’s GDP, according to the research team’s calculation. The group argued one step Taiwan should immediately take to pay for UBI is implementing a carbon tax. Taiwan currently has no carbon tax, but rather subsidizes fossil fuels by 20 billion NTD a year. A tax on carbon of around 900 NTD per ton that increases 60 NTD per year would generate 1.7 trillion NTD in revenue over ten years, according to the proposal’s white paper. The Chung-Hua Institution for Economic Research also found a carbon tax in Taiwan could generate 239 billion NTD in revenue a year by 2021. 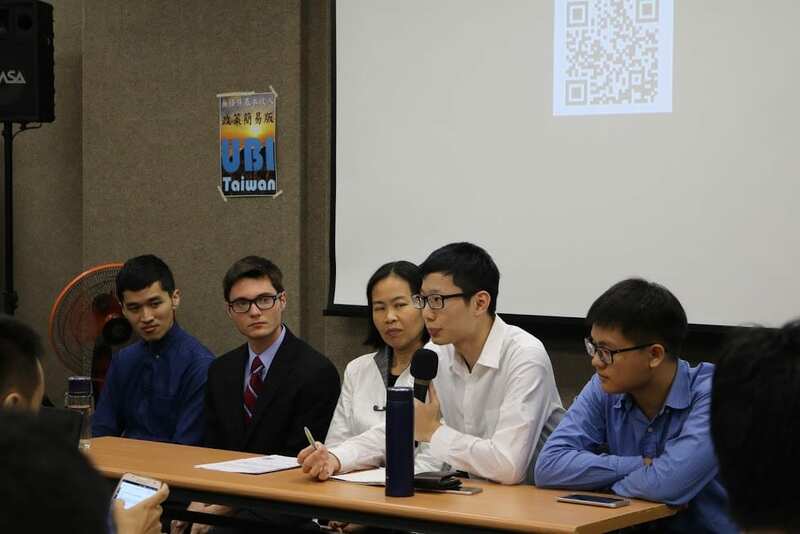 During the question and answer session, Tyler Prochazka, UBI Taiwan’s co-founder and fellowship director, said adding a UBI on top of Taiwan’s existing social welfare system would put Taiwan closer to average welfare spending in developed countries. “It is noteworthy that 70 percent of Taiwanese would benefit from this policy,” said Oscar Han, UBI Taiwan’s lead researcher for social welfare. Wealthier families would still receive the basic income, but they would likely pay more in taxes than they receive from UBI, Prochazka noted. There are several overlapping the social welfare policies in Taiwan that could be substituted by basic income, according to Song. During the question and answer session, one audience member was concerned that eliminating other social welfare could leave some people worse off. Prochazka explained that UBI Taiwan is not advocating eliminating any particular social welfare program, but that some would naturally fade away because a basic income would raise many individuals above the qualifying standard to receive the aid. Considering the political difficulties with immediate implementation of UBI, the other option outlined was to model Alaska’s Permanent Fund, which has been providing a partial basic income to Alaskan residents for decades based on oil revenues and other investments, and gradually phase-in a basic income starting with young Taiwanese. The Taiwan Permanent Fund (TPF) would collect revenue from taxes, such as a pollution tax, and invest the revenue back into the economy in order to pay out the dividends as a basic income. The TPF proposed by UBI Taiwan would require an increase in taxes of 5.2 percent of GDP, but it would require several years to phase-in as the fund grows from its investments. There were audience members who said they thought the phase-in for the Taiwan Permanent Fund would take too long. Song said that their calculations for the phase-in were based on conservative adjustments to taxes. One audience member was skeptical that a basic income would improve labor relations, and she thought business owners would lower their wages in response. Jiakuan Su, the lead taxation researcher, said that a basic income could give an employee more influence over their employers. ”We have the evidence to show that even when you just give a basic livelihood, you can give an emancipatory potential for us to choose what our passions are, rather than to be forced by economic factors to go do things that we hate,” Prochazka said. The proposal has been under preparation since this summer when UBI Taiwan began its fellowship research program with students selected from across Taiwan. During their research, the team collaborated with economists who study basic income from various countries, as well as Taiwanese professors to guide their work. At the beginning of the press conference, UBI Taiwan played a video featuring their supporters from around the world. Among those who showed their support included Andy Stern, Barack Obama’s former economic adviser, Peter Knight, a former World Bank economist, and Enno Schmidt, the leader of the Switzerland basic income referendum. “A country that is brave enough to face the issues and challenges of our time and to rethink its values, I think that country deserves the leading role in this innovative issue of a Universal Basic Income,” Schmidt said in his video address to the conference. One of the fiercest criticisms of UBI is that it will increase laziness. Schmidt thinks the opposite is true. Stern has been an influential advocate of basic income in the United States. He was previously the President of the Service Employees International Union, and has written a book on UBI called “Raising the Floor.” Stern has been providing advice to UBI Taiwan since this summer. “It’s an amazing effort and it’s just beginning, but it has the potential to change the future of work and more importantly the economic security of everyone on Taiwan,” Stern said in his video for the conference. Guy Standing, a professor at the University of London and a co-founder of Basic Income Earth Network, advised the UBI Taiwan research team over the summer as they were preparing the proposal. 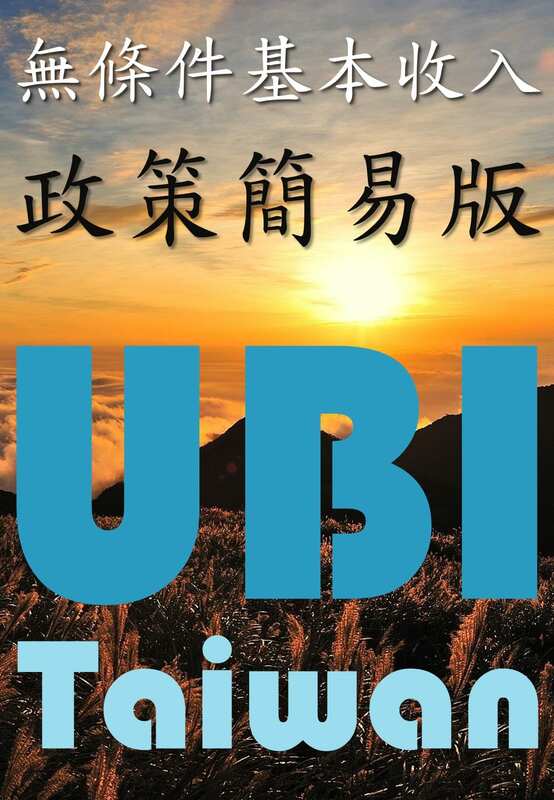 Standing’s message to Taiwan is that UBI is feasible. “It’s feasible. It’s affordable. We’ve done pilots in India where we gave very modest amounts for thousands of people and we’ve seen that it improves nutrition, health, reduces mental stress,” Standing said in his video address for UBI Taiwan. Ping Xu, UBI Taiwan’s co-founder and coordinator, will travel to California this week to attend a cash-transfer conference and discuss her group’s research. She said she is proud of the work they accomplished on the national proposal. “In this group of young researchers, you can see hope for the future of Taiwan,” Xu said. Sarath Davala, the lead researcher for the Indian basic income experiment, has worked closely with UBI Taiwan over the past year. Davala said he is hopeful that the proposal will spark a conversation about basic income in Taiwan. “The proposal is done after rigorous analysis of the existing welfare system. It can become a model for the countries in the region,” Davala said. The conference took place on a rainy day, but the venue was nearly full of audience members, including some political party representatives and government officials.